Just·Tech has released the 2nd version of their most popular app for Xerox multifunction printers, the Firmware Connect App. The Firmware Connect App provides automatic firmware updates once they are approved by Just·Tech for Xerox ConnectKey, AltaLink, 75XX, 77XX and 57XX models. This solution is unique in the industry and a competitive advantage and will increase efficiencies, decrease service calls, increase security on customers’ networks, improve the customer experience and increase new sales! In fact, a recent survey of Xerox Partners showed that 96% use the Firmware Connect App to increase sales. 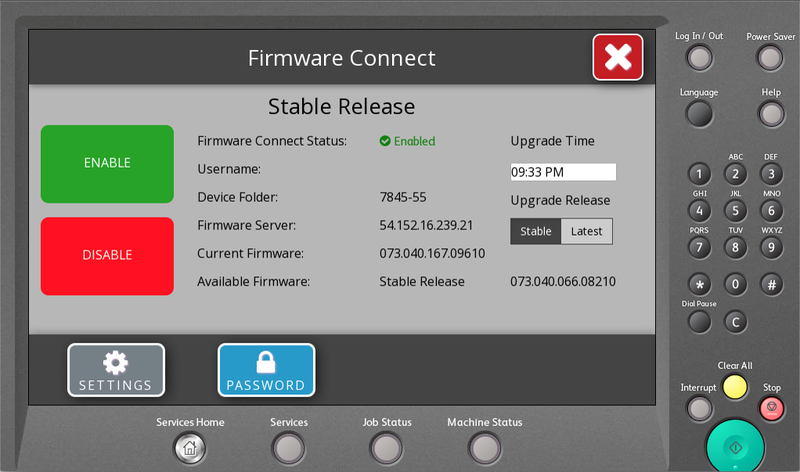 Once installed, the Firmware Connect App automatically brings the Xerox MFP to the most recently approved version of firmware sequentially with no intervention from the partner or the customer. Updates are scheduled at night or during non-business hours. All settings are kept at the device. These enhancements were made at the request of Xerox customers and partners and will provide additional benefit with this app.